Umberto Gonzalez, aka El Mayimbe, is at it again bright and early this morning with some more concept art from Captain America: Civil War. Captain America: Civil War started filming last week and the cast for the film seems to be building continuously. Any set pics featuring this armor won't give us the full look since there is a good bit of CG work on Iron Man, but this is a pretty slick looking armor and I'm very interested to see if they'll actually follow through on the Bleeding Edge concept which saw the armor become a part of Tony, fused with his body and emerging as an exoskeleton on command! 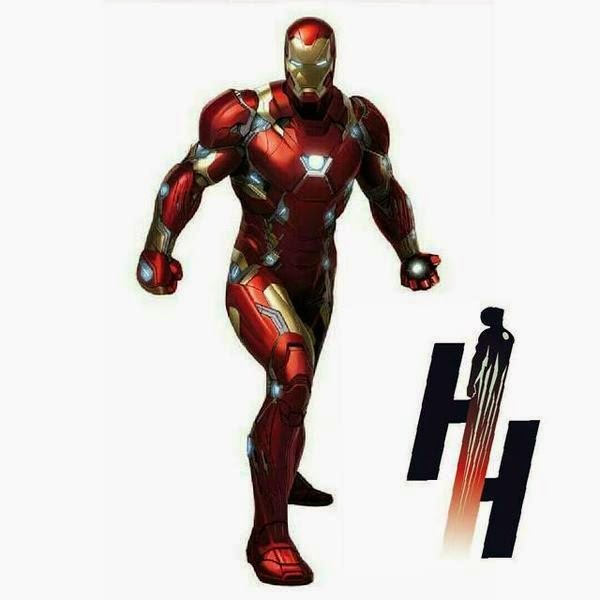 What do you guys think about this new look for Iron Man as he prepares to head into battle against his fellow Avengers?